2LZ: Gone Girl is a mystery and psychological thriller rolled into one. I loved Gone Girl with the exception of the disappointing ending. Both novels were thought-provoking and engaging. BookshelfMonstrosity: These legal thrillers are heavy hitters with emotional depth, developed characters, and frightening revelations. In both, the plot revolves around a young boy's involvement in a murder investigation and trial. sparemethecensor: Both are crime novels set in Massachusetts with extensive focus on the crime's impact on family. However, Mystic River is darker and goes far more in-depth into the crime's repercussions on the families involved. amyblue: Both deal with the situation of parents whose child is accused of murder. Defending Jacob deals more in depth with the legal concepts involved. pdebolt: Similar moral dilemma by parents of sociopath killer with different outcomes. This book is about a 14 year old boy who is stabbed and killed in a park in a small town. The victim has one fingerprint on him and it is the fingerprint of the DA's son - Jacob. The book goes through the case and how his parents struggle to believe that their son, Jacob, didn't do it. The DA's family history comes in to play because his father and grandfather were both violent men. The book moves through the case and makes the reader waiver about Jacob's ability to commit this crime and being sure he did it. I did enjoy it, and the ending was very interesting to say the least. A Massachusetts prosecutor find himself at the defendant’s table when his son is accused of murder. My book club selected this book, otherwise I might not have finished it. It was interesting, but it dragged. The ending had a bit of a twist, but I didn’t think it was worth the wait. What would you do to protect your child? That is the question that drives the plot of this novel. A 14-year-old boy is killed on his way to school and his classmate, Jacob Barber, is accused of the killing. Jacob's father, Andy Barber, is determined to see that his son is found not guilty. He does everything he can to protect his son. The consequences of those decisions bring about disastrous results. There were times when the reading proved a little onerous but keeping with it to the end was worth the effort. In April 2008, Neal Logiudice finally subpoenaed me to appear before the grand jury. Here is the dirty little secret: the error rate in criminal verdicts is much higher than anyone imagines. Not just false negatives, the guilty criminals who get off scot-free—those "errors" we recognize and accept. They are the predictable result of stacking the deck in the defendants' favor as we do. The real surprise is the frequency of the false positives, the innocent men found guilty. That error rate we do not acknowledge—do not even think about—because it calls so much into question. The fact is, what we call proof is as fallible as the witnesses who produce it, human beings all. Memories fail, eyewitness identifications are notoriously unreliable, even the best-intentioned cops are subject to failures of judgment and recall. The human element in any system is always prone to error. A jury verdict is just a guess—a well-intentioned guess, generally, but you simply cannot tell fact from fiction by taking a vote. With the minivan in the air, rolling, counterclockwise, the engine racing, Laurie screaming—a fraction of a second, that's all—Jacob would have thought of me—who had held him, my own baby, looked down into his eyes—and he would have understood I loved him, no matter what, to the very end—as he saw the concrete wall flying forward to meet him. Chevy Stevens grew up on a ranch on Vancouver Island and still calls the island home. 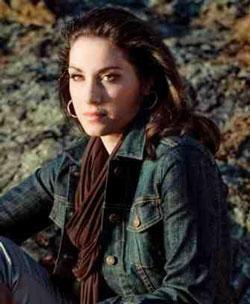 She is the New York Times bestselling author of the novels Still Missing and Never Knowing. From the first few pages of Defending Jacob, I knew this book was special. More than an exciting courtroom drama that combines the best elements of a legal and psychological thriller, it also delves into the heart of a family, and will rip yours out in the process. When a young boy is found brutally murdered in the woods in a peaceful New England town, his body hastily covered with leaves, the community is shaken to its core. No one more so than Andy Barber, a well-respected assistant district attorney whose fourteen-year-old son, Jacob, went to school with the boy. Sure, Jacob is a typical moody teenager, hiding in his room all day with his headphones and lap top, but Andy loves him more than anything in this world--and would do anything to protect him. While Andy's wife, Laurie, struggles with the possibility that there's a killer on the loose and their own son could be next, Andy's determined to find the culprit and bring him to justice. He immerses himself in a maelstrom of angry parents demanding answers, police hell-bent on making an arrest, and the complicated lives of teenagers, with their own secrets, and reasons for keeping them. When, in a stunning turn of events, Jacob is arrested for the crime, both Andy and Laurie are stalwart in their defense of their son: there's no way their child could've committed this terrible act. As more shocking facts are revealed and lies uncovered, Andy is pushed to the edge and his twenty-year marriage tested. Beautiful Laura, his college sweetheart and love of his life, begins to fade in front of his eyes, crumbling under the pressure of the trial, the public accusations, and the weight of her own doubts--in her son and her husband. When truths about Andy's past comes to surface, he must chose between the life he thought he'd left behind, and the father he wants to be. Defending Jacob raises the question: how far would you go to protect your family? But it also leaves you wondering if anyone could answer that question, and whether we really know what we're capable of when push comes to shove. Let's pray we never have to find out. 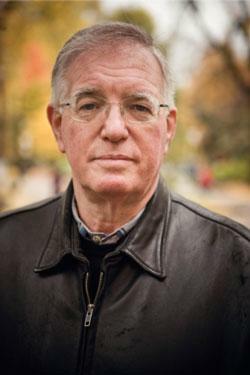 Phillip Margolin has been a Peace Corps Volunteer, a school teacher, and is the author of 15 New York Times bestsellers. He spent a quarter century as a criminal defense attorney during which he handled thirty homicide cases, including twelve death penalty cases, and argued at the United States Supreme Court. He is a co-founder of Chess for Success, a non-profit that uses chess to teach elementary school children study skills. His latest novel, Capitol Murder will be released in April, 2012. One perk of being a bestselling author is that you are sent advance reading copies (ARCs) of books by first time authors, or published authors whose editors believe have written a breakout novel. The ARC is sent by the writer's editor in hopes that you will write a "blurb," which is a sentence or two praising the book that can be used in advertisements. The books I blurb range from fun reads to very good reads. Then there is the rare book that knocks my socks off. William Landay's Defending Jacob is one of these gems. It is a legal thriller, but so are To Kill a Mocking Bird, Snow Falling on Cedars and Anatomy of a Murder. Defending Jacob, like these classics, separates itself from the pack because it is also a searing work of literary fiction. At the heart of Landay's exceptional novel is a parent's worst nightmare. Assistant district attorney Andy Barber, his wife, Laurie, and their teenage son, Jacob, are living an idyllic existence in a middle class Massachusetts suburb until one of Jacob's classmates is stabbed to death in the picturesque park where the locals jog, walk their dogs and picnic. It soon becomes clear that Jacob is the prime suspect and the Barbers have to confront the possibility that the child they have doted from birth may be a sociopathic killer. Andy takes a forced leave of absence from his job and helps defend the son he loves from a charge he cannot believe is true. Is he engaging in self-deception? How far will he go to protect his family? Laurie wonders if something she did as a parent has created a monster and her guilt destroys her. And then there is Jacob. Is he a typical angst filled teenager or a psychopathic monster? Landay skillfully keeps the reader guessing about Jacob's culpability and true nature up to the shocking final chapters. What makes Defending Jacob special is the way Landay gives the reader the twists, turns and surprises found in the best legal thrillers while making its centerpiece the tragedy faced by a normal family who are thrust into a nightmare. William Landay's book Defending Jacob was available from LibraryThing Early Reviewers.